I remember it was in the fall of 2012 after I published my book Get Reel About Your Home Movie Legacy Before It’s Too Late! that I got serious about developing a platform to share my message and passion about home movies, why they are important, how they can help you heal or understand your family better, and ofcourse, teach the crucial part of archiving, preservation and how to bring these films into your digital life. After 30 years of working in the entertainment industry on Hollywood blockbusters such as Argo, Super 8, JFK that had home movie flashbacks in them and TV shows such as American Idol, VH-1 Behind The Music, I saw that the home movie archiving part of our business was growing. Celebs, the Hollywood “A” list and industry people really wanted to take care of their personal media the same way they took care of their professional media. I wanted more than anything to teach the masses to do the same. To bring these films from the past into the present so they will be there for the future. We have over 50 shows in our iTunes library, and will be adding a new show each week. One of the things that most people don’t consider or understand about having all their home movie media on film and tape transffered to a DVD is that they have done nothing to preserve their legacy for future generations. While DVD’s are a convenient play back format, transferring original material to a DVD is just making a low quality copy from your master. Even “GOLD” DVD’s are just a marketing scheme and are not infinitely more stable than any other type of DVD. Most people are surpirsed when I tell them DVD is a low quality copy of their original. It is like you had an original Picasso painting for example. But instead of framing your Picasso, you took a photocopy on your home photocopier, framed it, hung it on the wall, and rolled up the original or even worse, through it away. The copy will never be as good or as detailed in this example, because that is the quality that the photcopier can render. It is a watered down versio no f the original. Get it? It is the exact same with your film and tapes. A DVD will not be the common playback format of the future. We have already lived through the demise of film projectors, VHS players, etc, and the future obsolescence of DVD is inevitable. challenge, because unless the date and event is written on the reel or tape , we might not know what is on it, and we no longer have the correct playback machine for that kind of film and tape. Today, most computers have easy to use editing programs where you can cut and paste snippets or “golden nuggets” together to tell a compelling story. These tools make it so easy and fun to be “head of your own studio” so you can bring the past into your digital life and share on social media, create a YouTube Channel , watch on your iPad or any smart device. Try doing that with a DVD. After all, editing is why people love watching a good movie. Take out the slow, boring and blurry parts so we can focus into the good parts. I looked at him and complimented him on the beautiful new equipment. Then I shared with him the information below, which made his jaw drop! Today, the hard drive changes it all. We can migrate all our home movie media onto a portable hard drive. The price of the drives keeps going down, and the storage capacity keeps going up. This can be a challenging concept to get across to people, even really smart people like my uncle. The hard drive has eliminated our need to have so many machines to playback our media on. The process that accomplishes this migration of many formats onto a hard drive is accomplished is actually quite simple. The benefit is that now all your different mediums are speaking the same language! In order to properly archive and preserve your home movie you have to create a Digital Master. This allows you to repurpose the material in many fantastic ways. The process by which this is accomplished so that all your formats are on one device and speaking the same language is actually quite simple. All your different formats are transferred as data files by a company offering that service. Then, these new files are downloaded by that service provider onto the hard drive. The hard drive is plugged in to your computer. The files show up on the device as play lists. One file for each reel of film or videotape. Simply click on the one you want to watch. Files can be downloaded to your computer or uploaded to the Internet. You can watch the files on any of our modern playback devices, including our TV, ipad, or smart phone or streamed over the internet. The conversion to data files should be done by a company that specializes in this type of work and uses state of the art HD equipment that does not compromise the integrity of the original material . Sadly, lots of companies, both big box and mom and pops are doing work on terrible equipment that can potentially damage you film. You also want to make sure the files are HD files (commonly referredto as a CODEC) such as Pro Res , not low quality FTP files. If they files are small enough that they can be emailed to you, than the quality is low enough that it is inferior to what the original material looked like. This is also true of hard drives. The price of the drives keeps going down and storage capacity goes up. Migrating your media that is already in a data file format to another hard drive every few years is fast, cheap and easy; just the cost of another drive. There is no loss in quality when you migrate the data digitally from one drive to another because you are keeping it in the same form, and you will never have to re-transfer the material. That is a crucial point. As my heart and thoughts are with my family, friends and everyone living on the Eastern seaboard doing battle with mother nature and the eye of storm – Hurricane Sandy, I was thinking what can I offer to you in terms of advice about protecting your home movie legacy from Mother Nature? I was thinking about all the film that has been lost or damaged by storm, fire and natural disaster. After Hurricane Katrina, people were calling us for advice and help with their film legacy that got wet. Some waited too long. The film dried out and became stuck together like a hockey puck! This morning I did some research to see what some of the preservation experts suggest, and I found this wonderful article on the website of The Association of Moving Image Archivists, an organization that I hold in high regard. This article was written by Mick Newnham, a senior researcher for the Preservation and Technical Services Branch of the National Film and Sound Archive of the Australian Film Commission. How does getting wet affect film? Film that has been immersed in water is in severe danger of having the base separate from the emulsion. This means that the part of the film with the image on it will come away from the plastic backing that gives the film its shape. The film is also at risk of being contaminated by mold growth and debris from flood water. Why do I need to keep my films cool? The most important factors in determining whether or not a flooded roll of film will survive are the total time it has been wet and the temperature at which it has been kept. The warmer the conditions, the shorter the time frame. How much time do I have before films that have gotten wet are unrecoverable? This depends on so many factors, it is impossible to say for any particular reel of film. Without question, the sooner you can get the film into the hands of recovery professionals, the better. But even if a lot of time passes before you are able to start the recovery process, if the film is valuable to you, it is worth trying to salvage it. You might at least be able to save part of the film. Why should I store films that have gotten wet underwater? Doesn’t it make more sense to dry them off? You should not try to dry the films! The reason for storing the films underwater is to prevent them from drying in the air. If films get wet and are not dried in a special way, the emulsion (image) from one layer can stick to the base (plastic backing) of the next layer. This is known as “blocking.” If a film develops blocking it cannot be unwound without damage. When my films are stored in water, will I see any changes in them? You probably will notice changes. First, the film will probably change color slightly. Sometimes it develops a purplish or blue color after a few days. This is normal and does not indicate any problems. After a few more days, the film will become very slippery. This happens because the gelatin at the edges of the film is starting to dissolve and because bacteria and molds are active. This is a warning sign. The film may still be salvaged fairly intact at this point, but it needs to be taken to a lab as soon as possible. “Threads” or filaments may start to appear on the film. These are thin sections of emulsion floating away from the film base. This is not a good sign. The emulsion may not withstand rewashing intact. Take the film to a lab as soon as possible. “Gray soup,” nasty, gooey, slimy water: the emulsion is decomposing and the film will not withstand any treatments. However, some frames may still be able to be seen and duplicated as still images. So even in this extreme case, you may still want to take the film to a lab to see what images can be salvaged. What happens if my films got wet, then dried out again before I could put them in water? When a film becomes wet and then dries completely, there are two levels of damage that may occur. With luck, the damage to your films will not be too severe. Even if you are less fortunate, it may still be possible to save parts of your films. If you are lucky, all that will happen is that the emulsion surface will become very shiny and smooth, especially around high density areas (where more dye or silver is congregated). This may occur in patches and will result in some noticeable artifacts (flaws) when the film is projected or copied. emulsion will be removed and stuck to the adjacent film layer. Or the whole film will tear. Any attempt to unwind a blocked film will result in damage to the film. While a blocked film cannot be unwound without damage, it is possible to carry out highly specialized conservation treatments that may enable the film to be unwound. These treatments carry a degree of risk, especially if the film has been wet for any length of time before drying out. The treatments are time- consuming and expensive. Unblocking treatments should be thought of as a last resort for attempting to save films that are very important to you. Post a question on this website if you would like to ask for more information about unblocking films or other film recovery topics. A recovery expert will answer on the website promptly. If you have any questions, or your film does get wet, please email or call me so we can help you to make sure it is properly dried out by a professional lab! This is what mold growing on film looks like when your reels get wet. This will accelerate the deterioration of your reels! GET “REEL” About Your Home Movie Legacy Before It’s Too Late! The fact is people should be worried about their home movies. Most want to do something with their growing and ageing collection of film and tapes, but they do not know where to begin. We are in a digital dilemma about our growing personal libraries and it can be a daunting task to digitize, organize, and share the material. Technology is changing so fast. We worry that we will spend money to put our home movies on yet another format that we can’t playback. So we wait. We lack the motivation or call to action to do something – until we have to. My message is GET “REEL” About Your Home Movie Legacy Before It’s Too Late! Too late to save the material which is in a constant state of deterioration. Too late to get oral histories from the people who can tell you who is in the films and the “reel story” on the reel! Too late because your original film master was scratched or damaged from being projected too many times or transferred improperly. Too late because you were not ready when you needed the material for an important event. Too late to use the material as physical evidence for things that may happen in life. (how will they know what the family did in the 1940s? Technology has given us many options and choices beyond putting your analog home movies on a DVD (passive choice). You want to “do something” (active choice) with the material so that the family legacy will live! Here are some great tips of things to think about just to get the ball rolling! 1. Vision: What is your vision for the project? Do you want to just see it, share it, edit it, sell it as stock footage, have it on the Internet, or use it in genealogy research? This will dictate the type of workflow and play back you choose. 2. 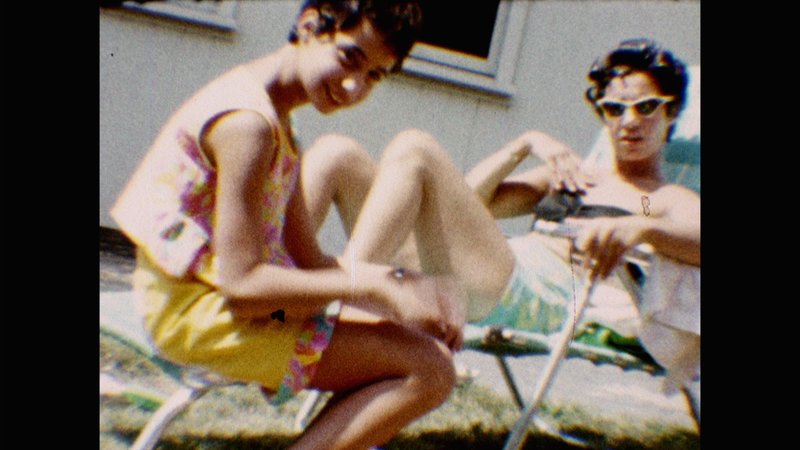 Preservation: Just like photos, home movies matter. There are 3,600 still images on a 50-foot reel of super 8 film! They are not just some old home movies! They are part of our family assets, and help our legacy live for future generations. The original material needs to be protected and preserved with integrity, and should only by handled by people trained in working with original material on equipment designed specifically for digitizing media. Make sure the handler has experience is assessing the condition of the film and is working with equipment that will not further damage the material. 3. No Spoilers: Some of my clients want to see what they have before they scan it. It is difficult to get access to good projectors and tape players. Additionally, each time you project ageing film, it runs the risk of being scratched or damaged. The perforations of the film shrink over time and often do not line up in the projector properly. Our recommendation is to scan everything. (except commercially produced films) Because you are dealing with original material there are generally no copies, and it is worth it to have a back up. I have seen Mother Nature or fire destroy entire film and video libraries and if there was no back up, it is a devastating loss. Sometimes there is a single golden nugget on the reel that makes it a compelling part of the library. A back of everything gives you peace of mind. 4. Money Matters: As in most things in life, you get what you pay for and there are lots of places that transfer film very low quality, very inexpensively, and compromise the integrity of the material. Big Box stores have been known to send archives out of the country and do the transfer in an automated “factory style”. How much would it be worth to you to have films and tapes scanned to the same quality as the original material looked – or even improved? A great option is setting a budget and doing a little at a time best quality by a professional company that specializes in this work. This is a fantastic way to get the library done. Set a time line. Increasingly, I see people scan one roll best quality, put it on the internet for family members to see and use a use a Crowd Funding Website such ad www.kickstarter.com to get family members to help pay for the project. Seeing that one roll really gets people excited and they can donate directly to the project on line! 5. Family Matters and Getting Social: There is a growing interest in Family History and Genealogy. More and more people are finding clues in their home movies to link them to their past and find out about their ancestors. These can be easily shared on the Internet via YouTube, Facebook, etc. You can add tags that researchers are looking for, and maybe find some long-lost relatives or they might find you! 6. Get Organized: You probably have a multitude of film and video formats. If you want to do an assessment of what you have, get totes, put film in one and tapes in another. When considering what to scan, start with having the oldest material scanned first, which will be 16mm or 8mm film. Use the information written on the boxes and cans to identify what might be on the reels. There may be a “favorite” remembered from the past. Postage stamps on the boxes and postmarks are great clues! In the day, film was generally mailed to and from the lab. 7. Common Film Problems: Here are a few things you can do to see if the film reels are in trouble. If they are, you may want to advise your client to get these scanned ASAP! – Take a whiff! If you smell vinegar, the film has something called Vinegar Syndrome. This is the breakdown of the emulsion and base of the film. The film shrinks, becomes brittle and warped. It is accelerated by heat and humidity, so get the film out of the attics! Mold can appear as white or green chalky artifacts on the film. This was caused because the film got wet or being exposed to condensation. Get the film out of basements or refrigerators! -Cans That Are Rusted Shut. These can be carefully pried open with a screwdriver. – A Reel Never Developed. Very expensive to have the chemistry recreated, but possible from some specialty labs such as Pro8mm or Film Rescue. Hockey Puck Reel. This reel got completely wet and as it dried out, the base and emulsion began to separate and it is now a solid mass. Some specialty labs offer a rejuvenation process where you can have the reel soaked for up to 6 months. In some cases, the film can then be hand scanned and sometimes there may be an image on it. Curled Film. The film has shrunk or got wet and should NOT BE PROJECTED UNDER ANY CIRCUMSTANCES! 8. The Home Movie Transformation: There are now so many options for getting film and tape moved to digital that is has become very confusing. In simplest terms we want to advise consumers to mimic what the studios are doing with their films so that the material can be seen at it’s highest quality and repurposed in many ways. The best workflow means have the film transferred in high-definition (1080) not standard definition. This more closely matches the original resolution of the film and looks fantastic projected digitally on our modern flat screen TV’s. Film can be color corrected (like Photoshop for your film) where needed to fix fading and inconsistent lighting conditions. Flying spot scanners have amazing dirt and scratch concealment tools. This is a fantastic reason to get film converted my a professional company. There are many tools to improve the image/ Material that is encoded and put on a hard drive is ready to edit, upload, and watch on a computer, smart phone or iPad, or even your own YouTube channel and streamed over the internet. You cannot easily edit a DVD. A DVD is just a lower quality copy of your original material. 9. Scanners (This is the most important tip I can give you) Investigate how the work is being done and by who. There are so many places that now offer transfers, often on very primitive equipment. These are usually modified projectors that can compromise the integrity of the film. Clients only have one archive! Hundreds of reels are destroyed every year. Would you go to an Internet site if you needed a new heart? You would certainly want to see the facility and c heck on the credentials of who is doing the work. The same is true of your one and only archive! Film Chain (modified projector with a video camera in it, which tapes the image. Does not have tools to improve the picture and can damage film). This is what a majority of the transfer facilities use. Many places set these up factory style and the work is done by minimally or untrained film handlers. Can be very cheap and sometimes the work is sent out of the country. 10. Next Ah-Ha: One of the things I love most about having a home movie library encoded on a hard drive is that each reel or tape shows up as it’s own file when you plug it into your computer. You can name the files. Your entire media library is all in the same format, so the possibilities “ to do something” with the material are endless. You can then organize these into “play lists” chronologically, or as projects, such as just weddings or just holidays! To conclude, the challenges we have for film and video are the same as for still images. The chore of organizing, digitizing and migrating all the material into a modern workflow is big so be ready with the analog film material encoded and on a hard drive so it can be added to your books! It will give you an edge. Educating yourself about best practices for working with home movies raises the bar and elevates our commitment as a society to elevate how important and priceless these film treasurers are. Get your family people passionate about helping your family film legacy to live! Rhonda Vigeant is Director of Marketing at Pro8mm in Burbank, CA and has worked with home movies and legacy footage for 30 years. She is the author of the soon to be released book GET “REEL” ABOUT YOUR HOME MOVIE LEGACY… BEFORE It’s TOO LATE!